Master limited partnerships have seen immense growth over the last decade. The sector has grown 260% over the last decade. But many investors don't fully understand their tax benefits, dividend yields, and business structure. Explosive growth in oil production has provided master limited partnership (MLP) investors a wave of new opportunities - and an MLP ETF is the best way to tap the sector's best opportunities. The low price landscape is being reshaped by a wave of M&A activity. Master limited partnerships (MLPs) saw incredible growth last year - and the sector shows no sign of slowing down in 2015. With oil prices expected to slowly recover, MLPs will stay profitable throughout any short-term downturns in 2015. It's officially silly season in U.S. politics leading up to midterm elections, with both parties stooping to distraction and hyperbole. As usual, some of the most misguided utterances so far have come from the White House and, specifically, from our own Commander-in-Chief. 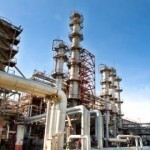 Important Update on Investing in MLPs: Last week, I discussed Kinder Morgan Inc.'s (NYSE: KMI) bombshell announcement that it was effectively abandoning the master limited partnership (MLP) structure it had helped to pioneer. Since MLPs have long been the go-to for yield-hungry investors, the piece attracted a lot of attention - along with quite a few comments. 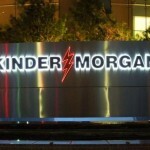 With its bombshell consolidation announcement, Kinder Morgan Inc. (NYSE: KMI) has suddenly become the third-largest energy company in America. 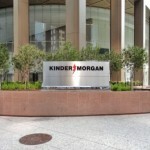 In a $71 billion deal, Kinder Morgan is bringing all of its publicly traded companies under one roof as a single C-corporation. Does this massive consolidation mark the end of master limited partnerships (MLPs) as a main driver in the energy sector? With U.S. stocks at all-time highs, many analysts warn that asset valuations are out of touch with reality and a correction is headed our way. In the event of a market correction, investors will be limited to settling for returns lower than the historical average or seeking out obscure investments that add an extra percentage or two in dividends. Thanks to hopelessly convoluted tax laws and patchwork regulation - red tape that shows no sign of being simplified - most of us are forced to house our wealth in a variety of accounts. They can run the gamut, from fully taxable to fully tax-advantaged. Choosing the right ones for your investments is critical. In fact, I'd even go so far as to say that making sure your money is in the right type of account is nearly as important as the specific investments you pick. That's because, when you get this right, you can enjoy an additional 10% to 20% advantage over those who don't. The downside of ignoring this fact, of course, is twofold: diminished returns, and penalties from the government - sometimes both! Naturally, Wall Street likes it this way, because it helps them "help" you by coming up with a never-ending litany of new products, new regulations, and, of course, new fees. Today I'm going to show you how to ensure that your investments are in the right accounts, so that can maximize your returns immediately... and for years to come. If you're one of the millions of investors trying to find decent yielding income investments, there's one place you should be looking -- Master Limited Partnerships (MLPs). That's because if you play your cards right you can pocket a cool 6% to 10% or more from investing in MLPs - while the yield on the broad market barely cracks 2%. As an added bonus, 80% to 90% of distributions from MLPs are tax-free until you sell. As America's newfound shale formations spew forth million of barrels of oil and gas an infrastructure boom will be needed to store and ship it. And a few select MLPs will be primed to cash in. Contrary to popular belief, you can earn higher returns and pay lower taxes. All you need to do is make one simple move. It's achieved by investing in master limited partnerships, or MLPs for short. 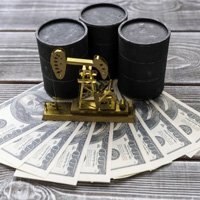 Due to an obscure law passed during the Reagan era, companies that service the oil and energy sector are allowed to funnel profits directly to their investors. And because of a unique tax loophole, investors who hold MLPs for the long term can completely avoid paying taxes on 80%-90% of all of their earnings. For MLP investors, those returns can be substantial. First, there are the hefty "distributions" MLPs pay out year after year. In fact, several of the 50 companies in the benchmark Alerian MLP Index offer yields of 7.5% or higher. Second, there is price appreciation which accounted for about 32% of the gain the index has generated since the end of 2007, according to Investing Daily. Altogether, that gave the Alerian MLP Index a total return of 66.6%. Meanwhile, the S&P 500 Index lost 1.55% over the same period. Most MLPs are involved in the business of connecting energy producing fields with refineries, distribution, and retail sales centers. But, despite popular belief, most have limited exposure to commodity prices. That's because most MLPs own midstream energy assets such as feeder pipelines and storage and transport facilities. It's a great business model because MLPs don't actually take ownership of the commodities. They transport, store and process them. Doing so, they simply act as gate-keepers, extracting a heavy toll every time a transaction takes place. So when oil or gas is moved from Point A to Point B, MLP pipeline owners get paid. 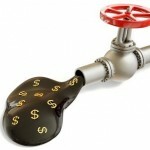 Or when oil moves through the system and has to be stored, MLPs get paid. In fact, almost anytime anything happens in the energy sector, MLPs get paid. 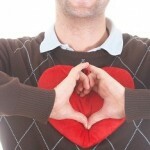 It all adds up to healthy profits that, by law, are passed on to investors. However, a key difference between MLPs and stocks is that MLPs pay very high yields - typically 5% to 12%. This is because U.S. law mandates that they pass most of their income on to unit holders. As a result, MLPs derive 90% of their income from natural resources - primarily oil, natural gas, and coal production and transportation. MLPs are generally not very risky, and bear a strong resemblance to each other, so even though there are two exchange-traded funds (ETFs) that invest in MLPs - the Alerian MLP ETF (NYAE: AMLP) and JP Morgan Alerian MLP Index ETN (NYSE: AMJ) - there does not seem to be much advantage.